Our style team says: not at all flighty - feathers are among our favourite decorations this season and enchant every piece with their magic. 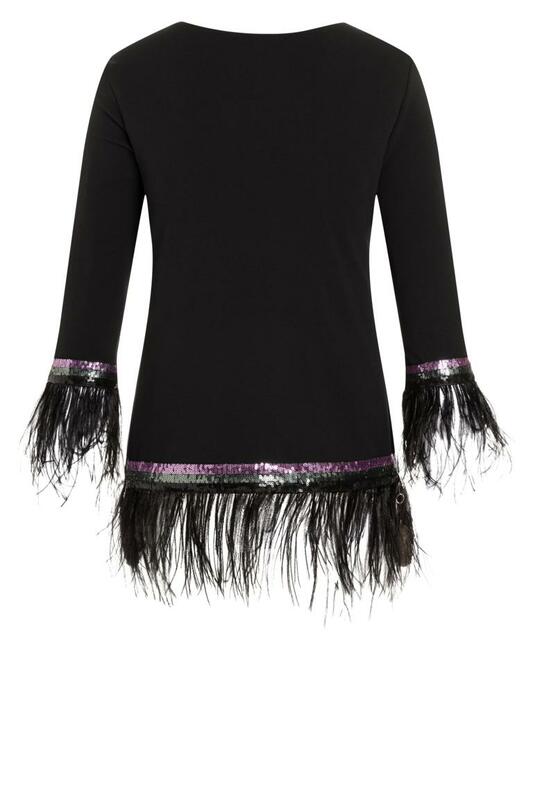 The simple and flattering long-sleeved top casts its feathers in the decoration at the hem and sleeves to create a dynamic, extravagant look for a night out. 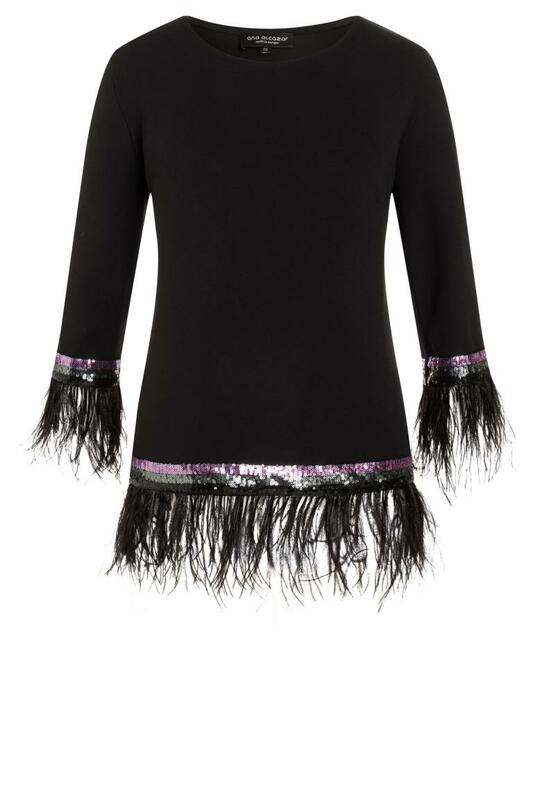 And because the devil is in the details, the designers have added shimmering sequins. With cool leather leggings and stilettos, the outfit unfolds to its full effect. It makes our hearts soar!